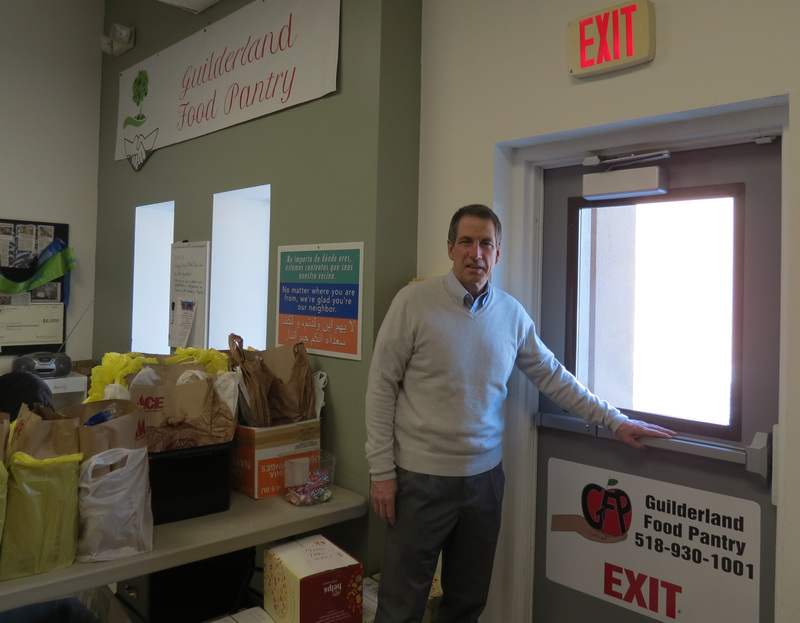 (February 1, 2019) - County Legislator Mark Grimm inspects one of two new doors installed to upgrade operations at the Guilderland Food Pantry. The $6,000 county grant for the project was co-sponsored by Grimm and fellow Guilderland legislator Dennis Feeney. The Pantry's new location is at Christ's Church in Charles Park (a short distance from Routes 20 and 155). The pantry hopes to serve as many as 2,000 people in poverty in Guilderland. "It's great we could help finance the doors so the pantry could use its scarce resources to focus on its most important mission --- feeding people," said Grimm. "The pantry workers are such a devoted group of volunteers." Find more on the pantry here.